Happy Monday! I am doing the rarest of things and posting twice in one day. This is not a usual occurrence for me but this week it is necessary as I didn't get my Great British Bake Off post written up in time to publish last week. Whoops! I still had my usual meal plan to do, so here I am, spoiling you with double posts! This week I am organised! I wrote a list, I planned, I shopped and I am prepared. I know, weird right? 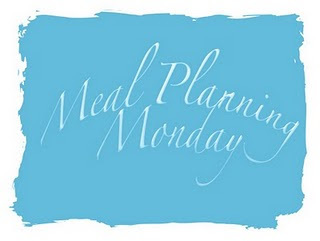 Breakfasts and lunches this week will be overnight oats (honestly a post on this is coming soon) and various salads/pastas and leftovers where possible. I didn't buy any lunches last week and it felt so good! I am off out this evening to the new Dabbawal restaurant in Jesmond. Dabbawal is a fabulous Indian restaurant, their first restaurant is on High Bridge St in the centre of Newcastle, but they have just opened a second location in Jesmond. Looking forward to sampling the menu with my fellow cake-ladies! Tonight is Bake Off night! I have a friend coming over to drink tea and watch it, but before that I shall squeeze in a lovely spaghetti and meatballs. As Autumn is upon us now we are opting for a lot of warming dishes, tonight it is pork chops with mustard mash and green beans. Noodles, I haven't decided quite what to do with them yet but I fancy some stir-fry, veggie, noodle action of some sort. Friday is fish-day this week, we have some lightly dusted haddock fillets with homemade chips. So this is my week in food, as always I have shared my plan over on Mrs M's Linky. Ohh have a lovely meal tonight! I love GBBO too and was also late to link up with my cheese and ham pies. Boo! Sounds like a lovely plan, I thin planning heart warming food is the only thing I do like about the weather getting colder. I am really loving the chill in the air at the moment, I could do without the rain though. Cheese and Ham pies sound lush! I shall check out the linky. Comfort food, one of the many things about Autumn I love!